A big advantage of a WESTERN EVENING or a WESTERN THEMED EVENT is that you get the ULTIMATE SOCIAL MIXING EXPERIENCE---simple and easy Dances are generally used to encourage beginners and those who have not been to a WILD WEST PARTY, WESTERN PARTY OR WESTERN THEME event. A WILD WEST PARTY, WESTERN PARTY, WESTERN EVENING OR WESTERN THEME event Is absolutely ideal for people who have little or no Dancing skills because most of the movements are natural to all of us---like linking your arm with someone else or holding hands to form a circle, you see these things happening every day--- for example in a School playground. LINE DANCES OR LINE DANCING mainly involve Dancing on your own--HOE DOWN, BARN DANCE AND SQUARE DANCES involve dancing in couples and in sets ranging from 2 couples to 10 couples or more---in Circles, Squares or Longways---numbers dont really matter as long as there are enough people to fill up your Dancing space. Each Dance lasts around 10 minutes including a walk through by the ULTIMATE CALLER to learn the steps and changes---the ULTIMATE EVENT can be run for 3 or 4 hours with breaks between Dances of around 10 minutes. 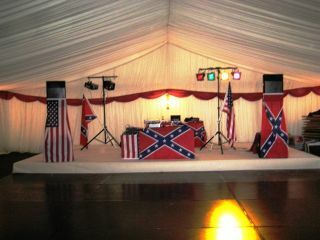 For longer functions such as Weddings and Parties of 4, 5 or 6 hours you may like the UNIQUE option of asking THE ULTIMATE CALLER to play COUNTRY AND WESTERN music from his collection of COUNTRY MUSIC----this is called COUNTRY AND WESTERN DISCO. When the Dancers progress under the Instructions of the THE ULTIMATE CALLER during the evening to more complicated Dances never worry about remembering the movements and changes---it is the job of the Caller to remind everyone what to do--when to do it and who do it with! This is why he will often politely refuse offers of large amounts of alcohol! If he cant remember what to do---you have no chance!